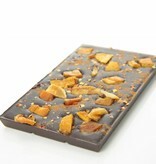 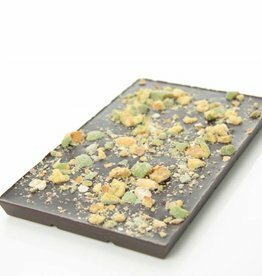 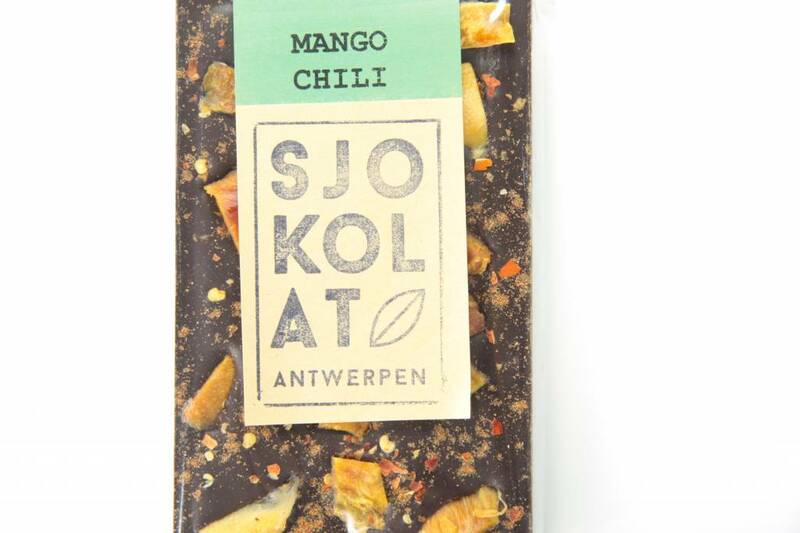 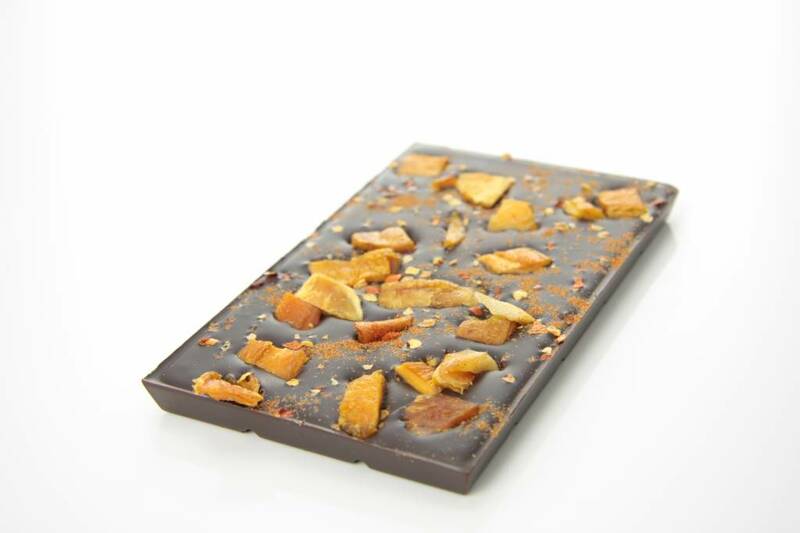 A bar of dark chocolate (70% cocoa) covered with pieces of candies mango and finely ground dried chili pepper. 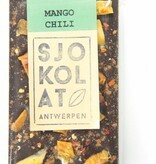 Some like it hot! 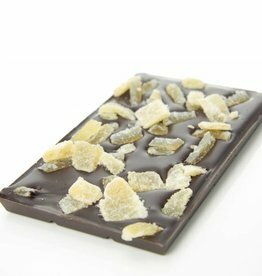 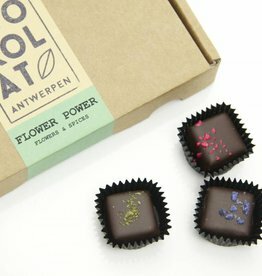 A dark chocolate bar (70% cocoa) sprinkled with finely ground dried chili pepper. 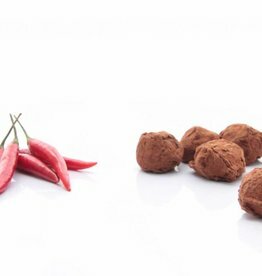 Some like it hot!